If you are curious as to what to expect at your child’s first visit to our office, this information is listed below. The American Academy of Pediatric Dentistry recommends a child’s first visit to the dentists should be within six months of the eruption of their first teeth. If this is your first child, this can be very helpful. In most cases, a dental cleaning is not necessary, however, the information we can pass on to you about the prevention of tooth decay, growth and development, anticipatory guidance and trauma can be very helpful information to know. It is essential that parents take an active role in their child’s dental health. Recent reports have noted an increase in dental decay in this age group. The younger we start seeing your child, the more we can do to help prevent dental decay. For most toddlers, especially if it’s their first visit with our office, we begin with a comprehensive exam. We will assess risk factors for decay, growth and development, bite relationship, oral habits, oral hygiene and dietary patterns. Often times for toddlers, it is not necessary to have them “lay down in the chair.” Quite often they can to sit next to a parent or on their parent’s lap for the exam. We may suggest x-rays if necessary for proper diagnosis. In addition to a comprehensive exam, many four year old and most five year old will have their teeth cleaned. 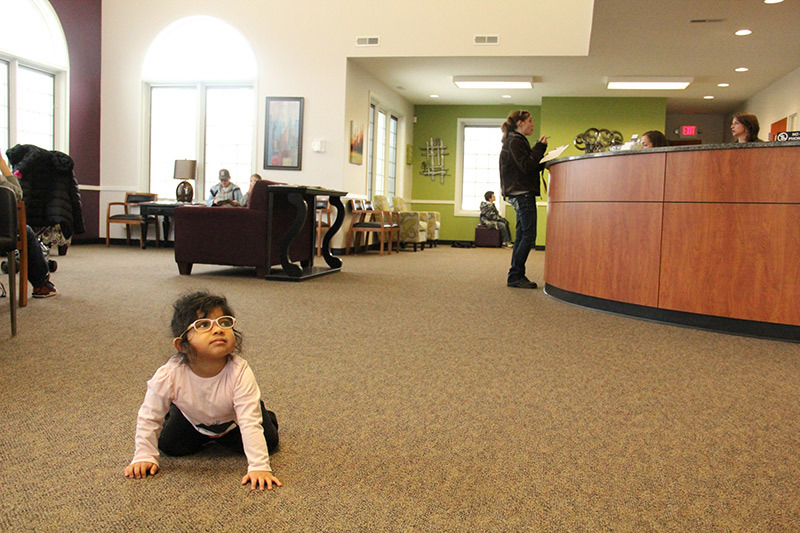 Most older toddlers and preschoolers welcome the experience of visiting our office and they do very. However, we understand that each child we see reacts differently to new experiences. Some children are strong-willed, some children have had negative experiences with healthcare in the past and some children are just a bit more cautious in unfamiliar surroundings. For these reasons, we encourage parents to be in the treatment area with their children during treatment. In many cases, parents help provide reassurance to their children if they are anxious. Positive experiences are what we work toward with children in this age group. 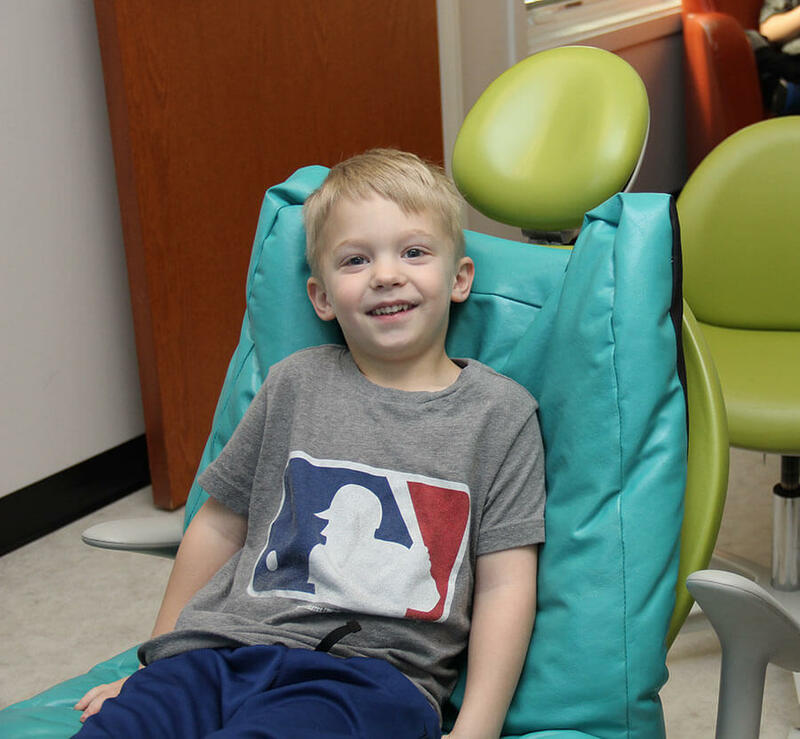 Bringing your child in for regular six-months visits coupled with positive reinforcement from our team and their parents will help them quickly become comfortable in a dental setting. This appointment usually starts with one of our dental hygienists cleaning your child’s teeth and take cavity-detecting x-rays if needed. At this time, they hygienist will evaluate oral hygiene and discuss recommendations or helpful tips with the parent and patient, if necessary. Our hygienists are very knowledgeable and parents are encouraged to ask any questions they have regarding dental health. In this age group, kids begin to lose teeth and get new ones. When the adult teeth begin to erupt, we will suggest taking a panoramic x-ray that helps us assess growth and development and rule out dental abnormalities of the teeth and supporting tissues. Many kids (and parents) think this is a “cool” x-ray because you can see everything developing under the primary (baby) teeth. At this age, we will start to identify discrepancies in growth and development. Each visit we document the position of the teeth and jaws and identify changes from previous visits. If we determine that your child is developing significant crowding of teeth or jaw growth discrepancies (overbite/underbite) we will offer you a referral to an orthodontist for further evaluation. 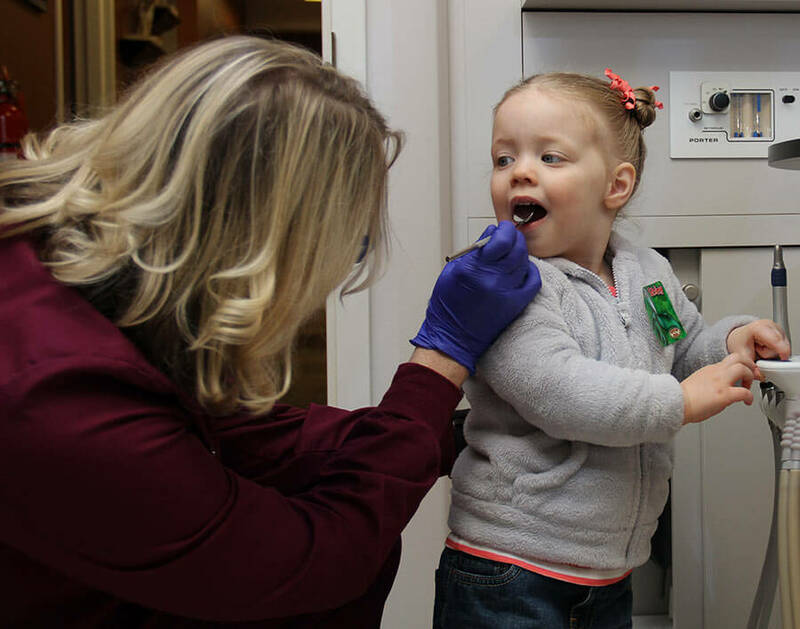 It is important to be aware that although children in this age group have the ability to brush and floss without supervision, it is still essential that parents regularly check their home care. We believe that parents who take an active role can significantly help reduce the risks for decay. Most decay seen in this age group is closely related to poor oral hygiene and sugar-laden diets (especially soft drinks). Our hygienists really emphasize the importance of proper brushing and flossing. We will take radiographs to evaluate for decay between the permanent teeth. In kids identified as high risk may benefit from more frequent cavity-detecting x-rays. (As for all x-rays taken in our office, we follow the guidelines for the standard of care as outlined by the American Dental Association and the American Academy of Pediatric Dentistry). We enjoy teenagers in our practice. Many we have known since they were infants and toddlers! At age 14, we give our patients the option of staying with our practice until they are 18, or we will graduate them to a general dentist of your choice. In our practice, we routinely see children with Cerebral Palsy, Down’s Syndrome, Autism Spectrum Disorder (ASD) and numerous other conditions that fall under the definition of SHCN. Dr. Fishbaugh, Dr. McCrea, and Dr. Kilgore are well-trained and well-experienced and our practice has a large number of patients with SHCN. 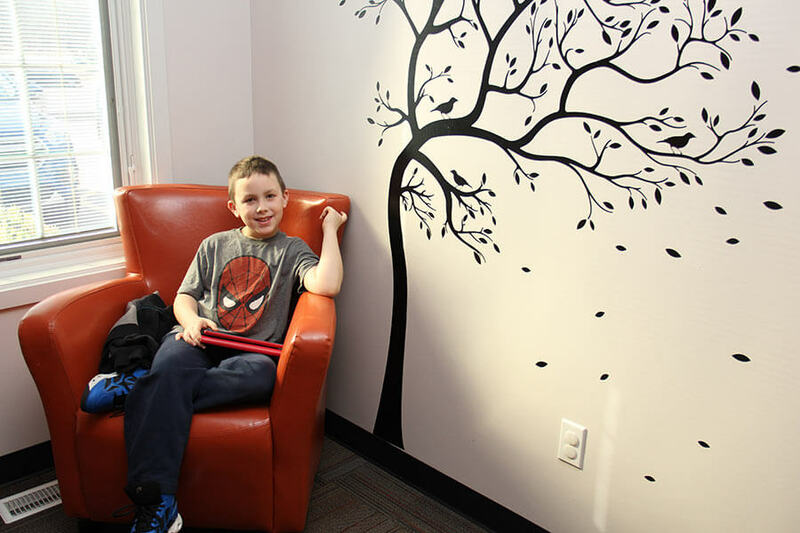 Quite often we can meet your child’s needs by modifying our treatment approach. 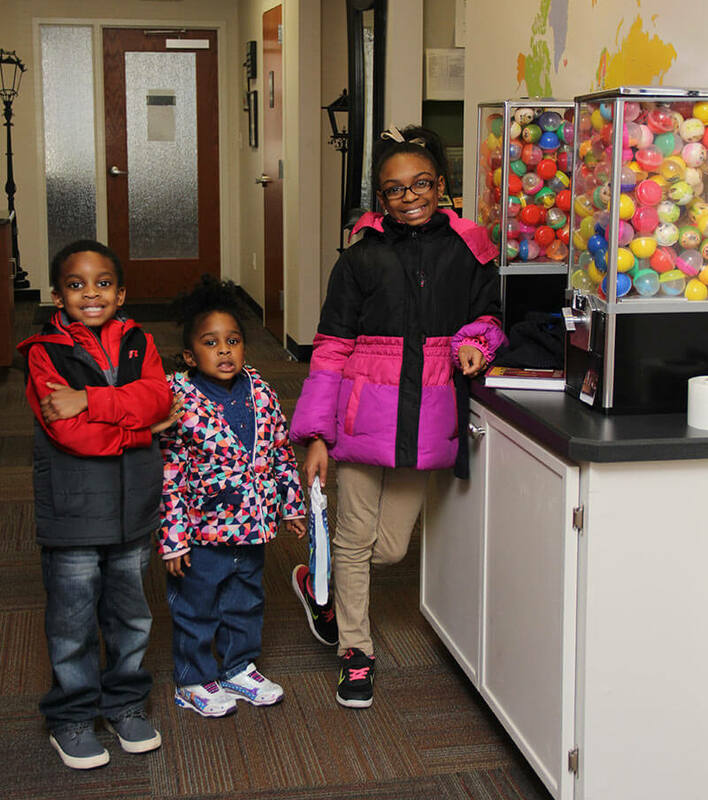 We treat many children who have been referred to our office by their family dentist. Many area dentist see children for cleanings, but prefer they see us if treatment is necessary. If you have been referred to our office, please be sure to bring a copy of the yellow referral form given to you by your dentist. We understand that many of our patients and their families come quite a distance to see us and have very busy schedules. Because we want to provide the best possible treatment for your child, a consultation/exam appointment will be scheduled initially. At this appointment we will assess your child’s treatment needs, review their treatment plans, discuss how treatment will be provided and schedule their treatment appointment. For your convenience, our New Patient Paperwork is available online. If you would rather, you can print the forms and bring them to our office the day of your appointment. You can also fax the paperwork to 574-273-8818 or email it to information@northpointkids.com. Please note our New Patient Appointments include paperwork time. Please contact our office to confirm that all forms were received electronically and to confirm your arrival time. Please note a parent/legal guardian must be present at the initial visit. If you are unable to bring your child, you will need to come to complete and sign all paperwork as well as an authorization form online. Please contact our office to confirm that all forms were received electronically and to confirm your arrival time. 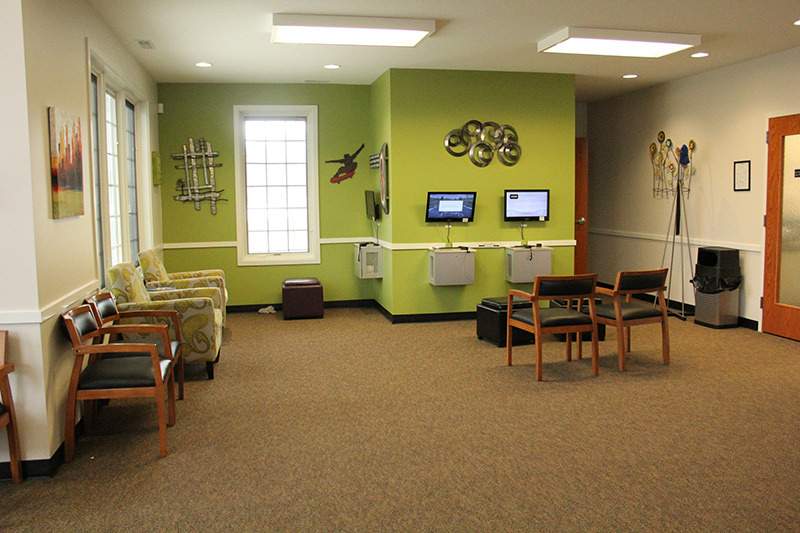 We make every effort to make our office convenient for you! In an effort to see patients in a timely fashion, we ask that all new patient appointments be confirmed. If you are unable to come to your appointment, we ask for a 48 hour notice. Missed appointments or short notice cancels may not be rescheduled.